The Barlow Road began at The Dalles and headed south to Tygh Valley, which some folks consider the start of the Barlow Road. From Tygh Valley the trail turned west and followed the north bank of the White River before heading north and northwest through Barlow Pass and Government Camp. 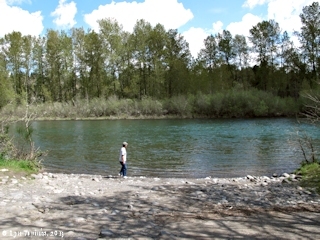 The road then generally followed the Sandy River to the community of Sandy, where the road turned west and ended up at Oregon City. 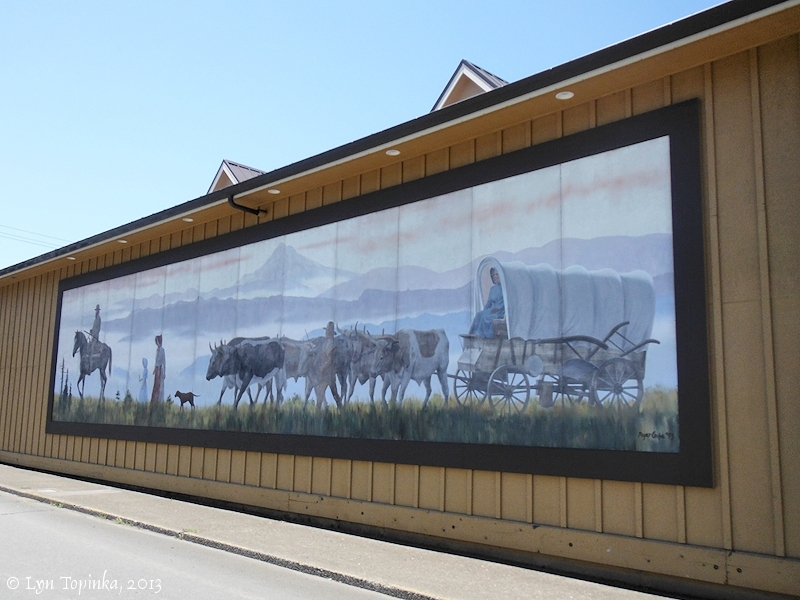 After the snowsmelted the following year, the groups returned for their wagons. 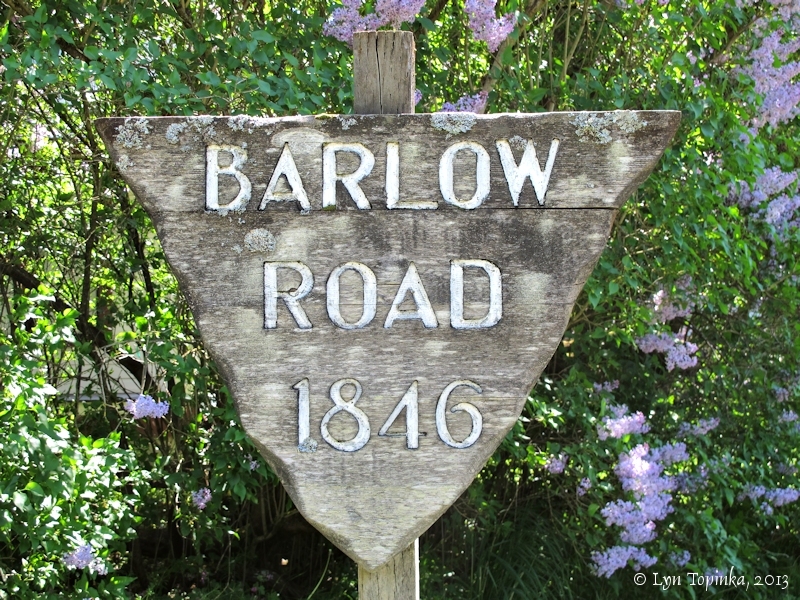 Barlow petitioned the Provisional Legislature for the right to construct a toll road over the route taken by the party. With a partner, Philip Foster, Barlow began road construction. It was a difficult road to build. 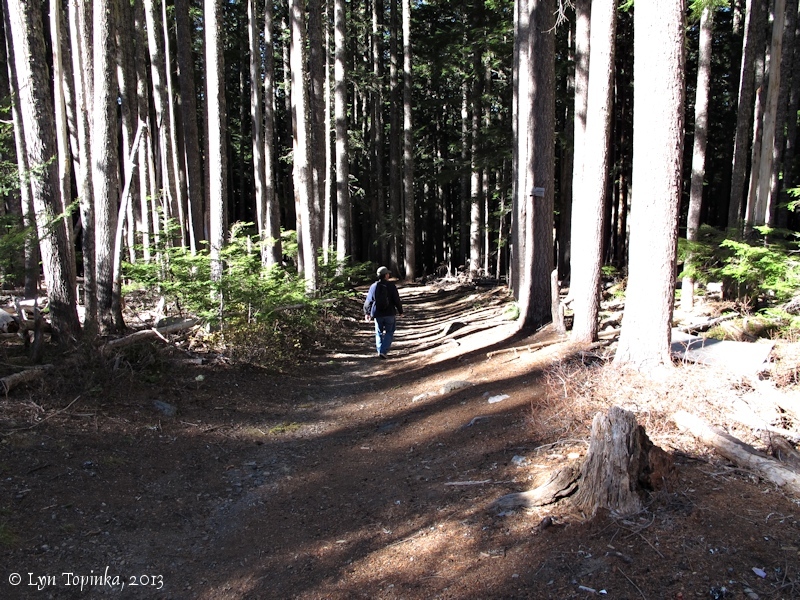 There were miles of thickets and dense timber to slash through. Swamps had to be "courduroyed." 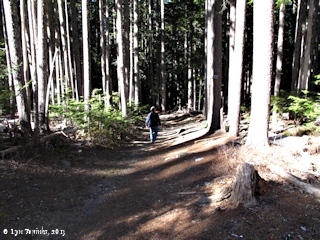 There were steep hills and strems to cross. Barlow petitioned for $4000 to construct the road; he had estimated a rate of $50 a mile. But even in those days this was not an adequate amount and supplies had to be bought on credit. By August 1846 the road was was ready for travel." 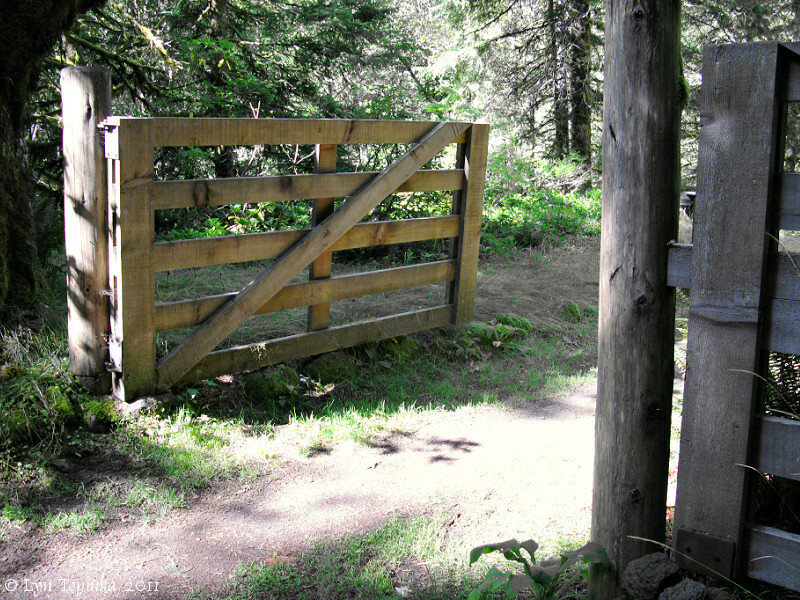 Source: Wasco History website, 2012, Barlow Trail, taken from the Mount Hood National Forest USDA Pamphlet #797-672/4. 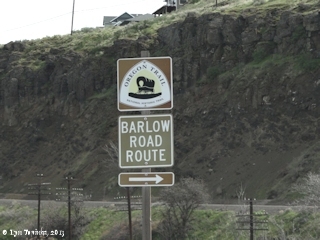 Click image to enlarge Barlow Road route sign at The Dalles, Oregon. Image taken April 3, 2013. 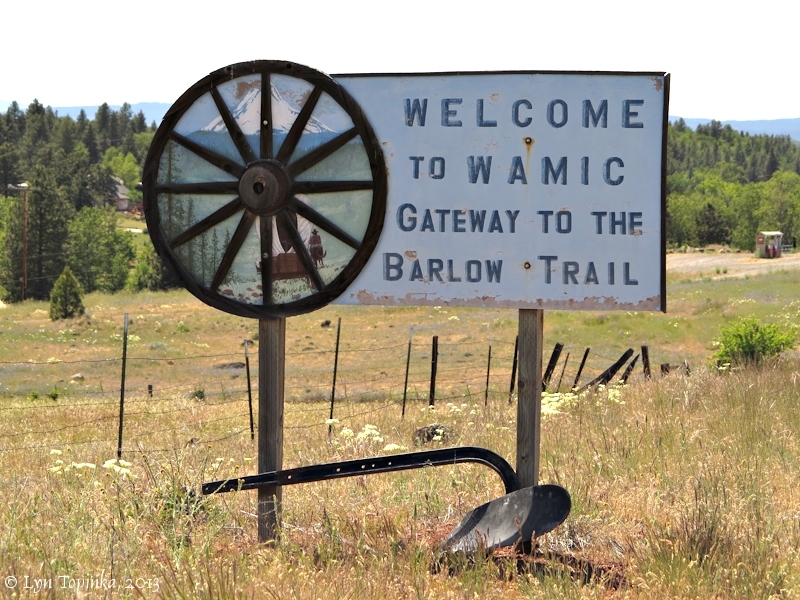 Click image to enlarge "Welcome to Wamic", Wamic, Oregon. 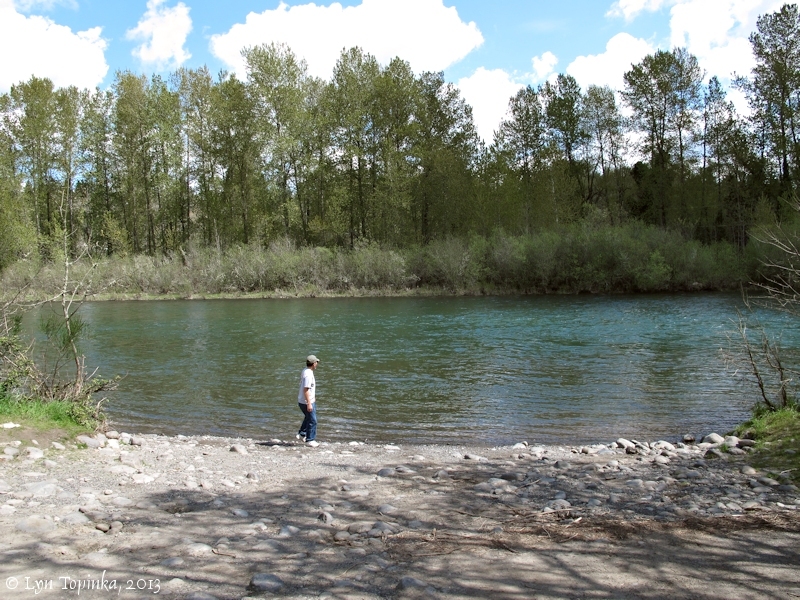 Image taken June 5, 2013. 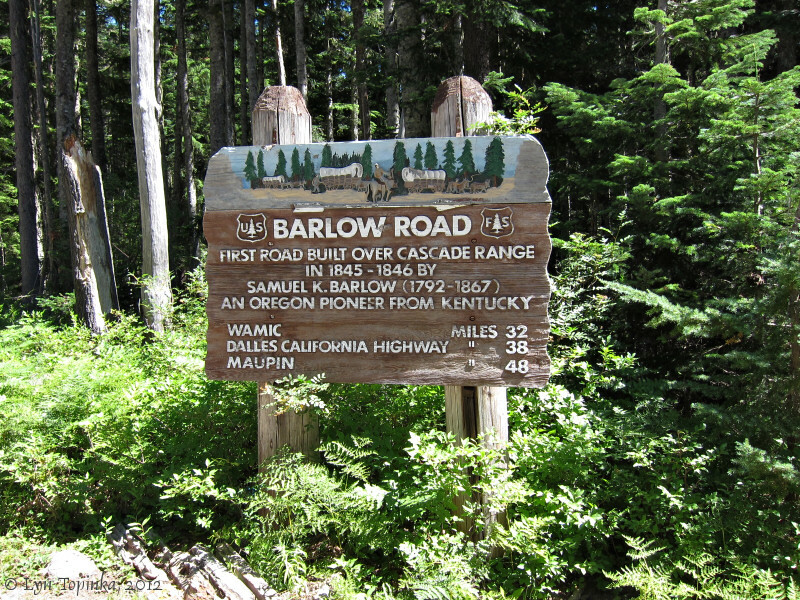 Click image to enlarge Barlow Road sign at Barlow Pass. 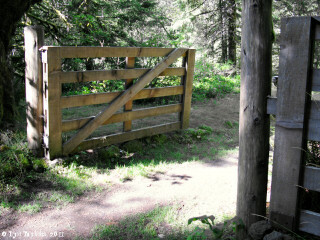 At U.S. Forest Service Road #3530, at Barlow Pass. Image taken August 14, 2012. 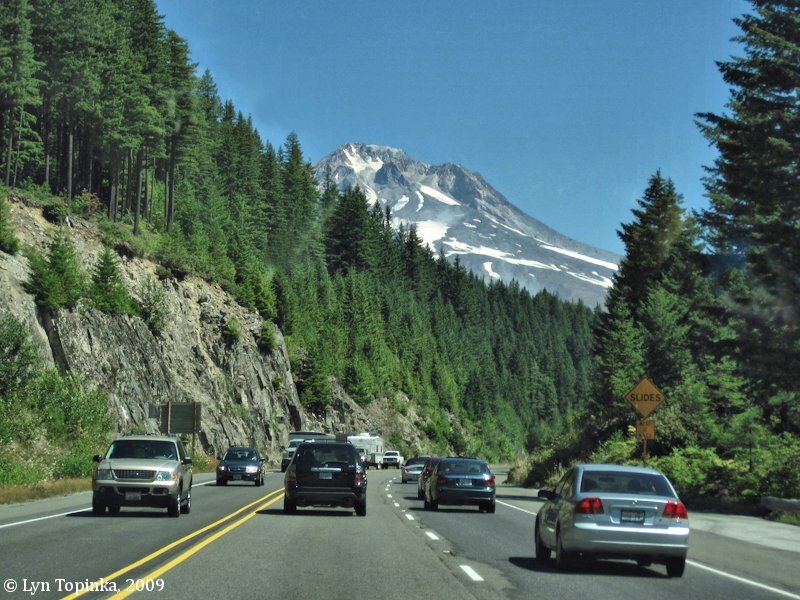 Click image to enlarge At Laurel Hill ... Mount Hood from U.S. Highway 26 at Laurel Hill. Parts of Highway 26 follow the old Barlow Road, a part of the Oregon Trail. Image taken August 16, 2009. "God never made a mountain that he didn't make a way to get over it." ... (Samuel Barlow, 1845). 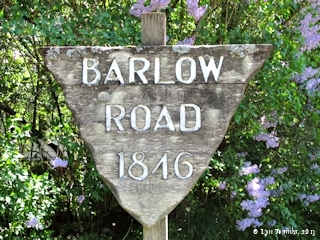 Click image to enlarge Barlow Road Tollgate Replica. Image taken September 20, 2011. Click image to enlarge Lower Crossing of the Sandy River ... Sandy River looking downstream from the Revenue Bridge, approximately Sandy River Mile 24, SE Ten Eyck Road, Sandy, Oregon. Image taken July 13, 2012. 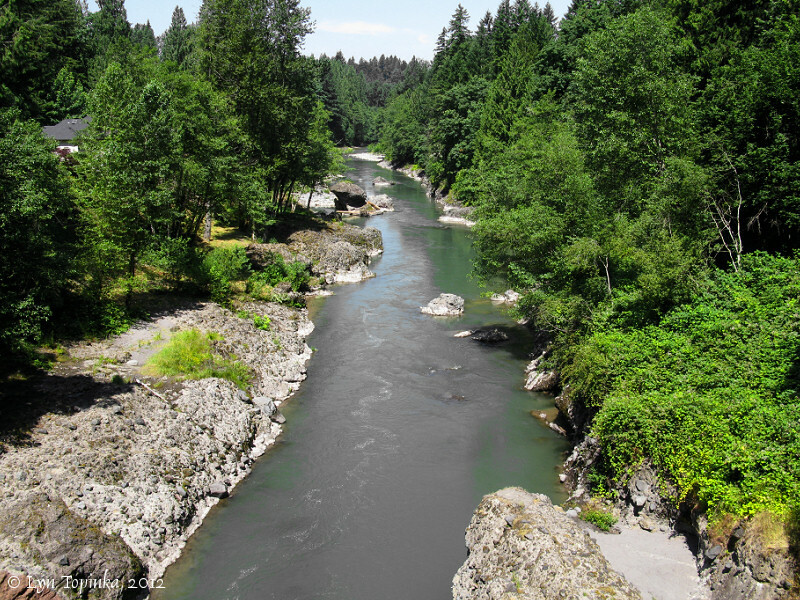 Click image to enlarge Crossing the Clackamas River ... Feldheimer boat ramp, Clackamas River, Oregon. Image taken April 17, 2013. 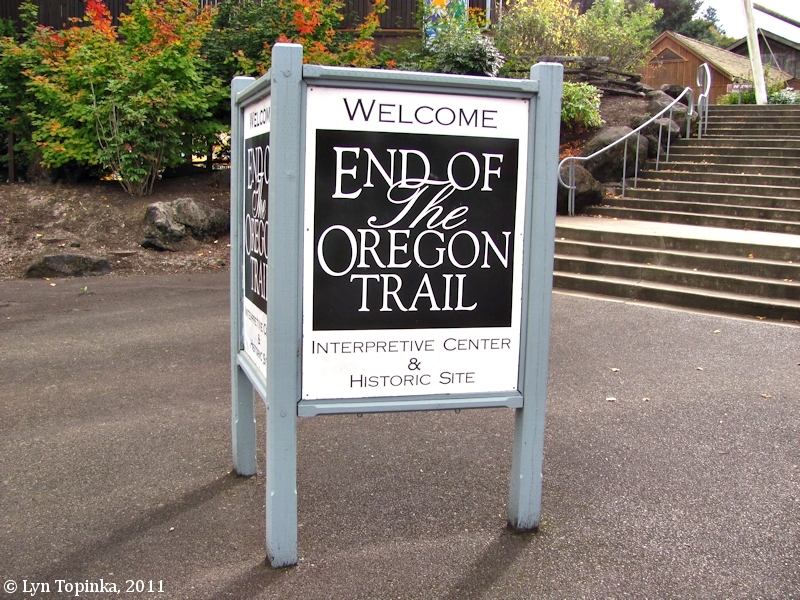 Click image to enlarge "End of the Oregon Trail", Oregon City, Oregon. Image taken October 22, 2011. In 1974, the "Rock Corral on the Barlow Road" (also known as "Oregon Trail (Barlow Road) Campsite"), west of Brightwood off U.S. 26 near Sandy River, was added to the National Register of Historic Places (Event #74001673), commemorating exploration, settlement, transportation, and social history (1825 to 1849). 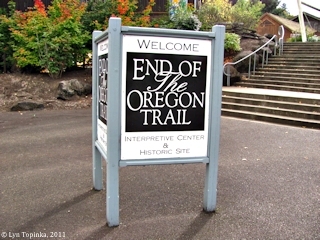 In 1974, the "Oregon Trail, Barlow Road Segment" (also known as "South Alternate of Barlow Road Segment at Woldwood Recreation"), northwest of Wemme, Oregon, was added to the National Register of Historic Places (Event #74001679), commemorating exploration, settlement, transportation, commerce, and social history (1825 to 1899). In 1992, the "Barlow Road" (also known as the "Oregon Trail"), roughly north of the Salmon and the White Rivers from Rhododendron to southwest of Wamic, Mount Hood National Forest, was added to the National Register of Historic Places (Event #92000334), commemorating transportation, exploration, and settlement (1825 to 1924). 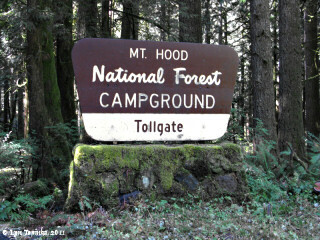 Click image to enlarge Tollgate Campground sign, Rhododendron, Oregon. Image taken September 20, 2011. Click image to enlarge Tollgate Inn, Sandy, Oregon. Image taken July 6, 2012. 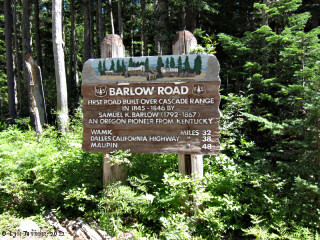 Click image to enlarge Barlow Trail Roadhouse, Welches, Oregon. 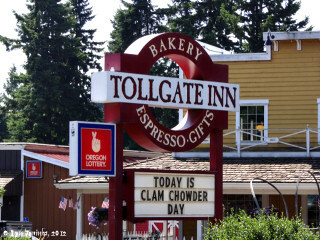 Image taken July 6, 2012. 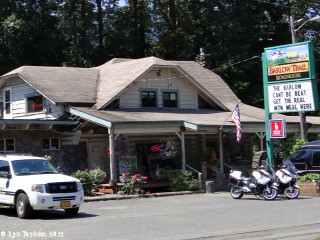 The Barlow Trail Roadhouse was built in 1926. 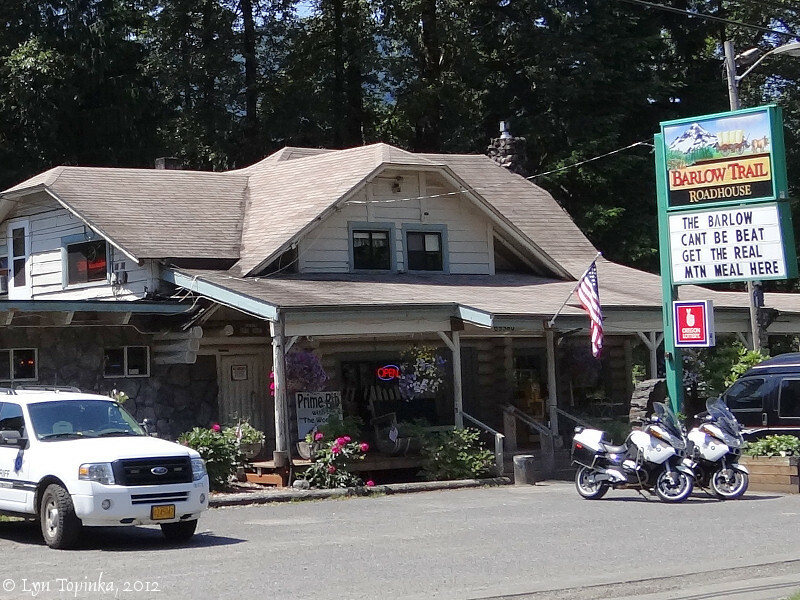 For a few months it was a general store before becoming the "Barlow Trail Inn". Today it is the "Barlow Trail Roadhouse", a popular local restaurant in Welches, Oregon. U.S. National Park Service website, 2009, Whitman Mission National Historic Site.